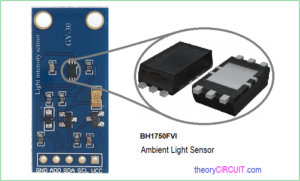 Ambient Light Sensors are used in lighting and image related applications, BH1750FVI is an digital Ambient Light Sensor IC for I2C bus interface. This IC is the most suitable to obtain the ambient light data with wide range and High resolution. 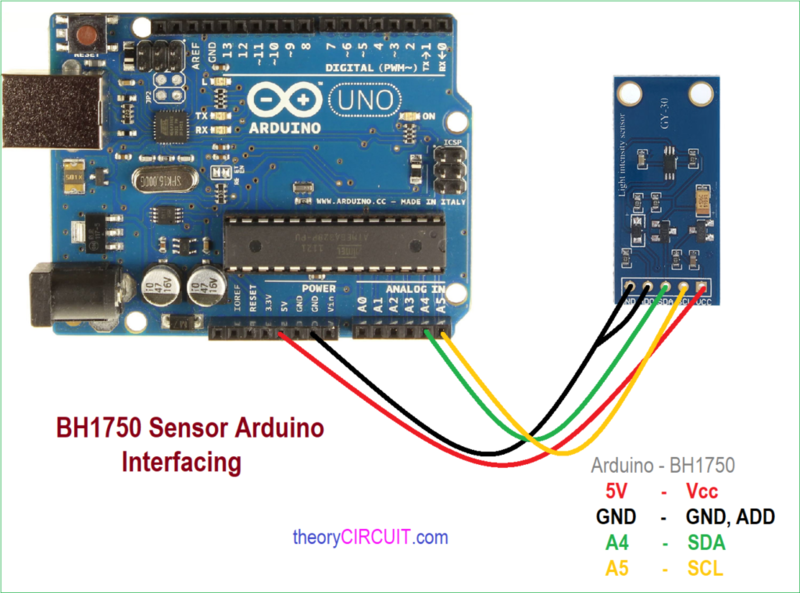 In this article BH1750 Sensor Arduino Interfacing and coding structure given with example. BH1750 sensor has Spectral responsibility is approximately human eye response and 50Hz / 60Hz Light noise reject-function, this sensor gives Adjustable measurement result for influence of optical window and by using this sensor we can detect min. 0.11 lx, max. 100000 lx. The sensor BH1750 comes in WSOF6I package and utilizing breakout board or module of BH1750 is recommended. This sensor can measure the ambient light value in continuous or one time measurement by the way six different modes of operations can be obtained. The sensor takes one sample measurement data and goes into power down mode. the following arduino example code takes ambient light data in high resolution mode.